THE TERMS AND CONDITIONS OF THIS AGREEMENT ARE SUBJECT TO MODIFICATION AND CHANGE BY YISMACH AT ANY TIME, EFFECTIVE UPON NOTICE TO YOU, WHICH NOTICE SHALL BE DEEMED TO HAVE BEEN PROVIDED UPON OUR POSTING OF THE CURRENT VERSION OF THIS AGREEMENT ON THE WEBSITE. YOUR CONTINUED USE OF THIS SITE OR THE SERVICES AFTER THE POSTING OF REVISIONS TO THIS AGREEMENT WILL CONSTITUTE YOUR ACCEPTANCE OF SUCH REVISIONS. PLEASE CONSULT THE END OF THIS AGREEMENT TO DETERMINE WHEN THE AGREEMENT WAS LAST REVISED. "You, Your, Yourself" means the individual who is applying for matchmaking services. The Website is for the personal use of registered individuals and matchmakers. Organizations, companies, and/or businesses may not register and are not permitted to use the Website for any purpose. Illegal and/or unauthorized uses of the Website, including collecting usernames and/or email addresses of members by electronic or other means for the purpose of sending unsolicited email and unauthorized framing of or linking to the Website may be investigated, and appropriate legal action will be taken. Use of the Website is with the permission of Yismach which may be revoked at any time, for any reason, in Yismach`s sole discretion. You will not provide inaccurate, misleading or false information to Yismach. If information provided to Yismach changes and becomes inaccurate, misleading or false, you will promptly notify Yismach of such change. All registered individuals are solely responsible for the content that they post on the site. You will not post on the site or transmit to others any defamatory, inaccurate, abusive, obscene, profane, offensive, sexually oriented, threatening, harassing, racially offensive, or illegal material, or any material that infringes or violates another partys rights, including, but not limited to, intellectual property rights, and rights of privacy and publicity. Yismach reserves the right, to reject any profile or photo that does not comply with the prohibitions set forth in this section. Yismach reserves the right to refuse service to anyone, at our sole discretion. As a user of the site, you agree that your account is for your personal use only. You may not authorize others to use your account, and you may not assign or otherwise transfer your account to any other person or entity. You are responsible for maintaining the confidentiality of the username and password that you designate during the registration process, and you are fully responsible for all activities that occur under your username and password. Yismach is not responsible and will not be liable for any loss or damage arising from your failure to comply with this provision. Yismach does not assume any liability for the release of personal information by other parties including other registered individuals or matchmakers. IN NO EVENT SHALL YISMACH BE LIABLE FOR ANY DAMAGES WHATSOEVER, WHETHER DIRECT, INDIRECT, GENERAL, SPECIAL, COMPENSATORY, CONSEQUENTIAL, AND/OR INCIDENTAL, ARISING OUT OF OR RELATING TO THE CONDUCT OF ANYONE IN CONNECTION WITH THE USE OF THE SITE AND SERVICES OFFERED. What constitutes an offer? Suggesting a name without details: If one suggested a name to only one side, and another Shadchan was involved to complete the Shidduch, the first shadchan did not contribute to the shidduch and is therefore not entitled to payment. However, if someone suggested the name of someone who the other Shadchanim could not possibly think of (such as a person from outside the country), there is a macklokes if the person is entitled to a fee as an initiator. If one suggested a name to both sides, then it is considered that he is Mekarev Hadeyos and is entitled to payment as a matchil (initiator). See Poel Emet ; Leket Shalot Hamitiot chelek 2. As the scenarios vary greatly, and the halachos of matchil are based upon takanas and minhag hamakom one should consult a dayan for a psak for each case. It is clear that if a shadchan suggested a shidduch, and the offer was rejected, and another shadchan later offered the same shidduch, and they agreed to the shidduch, then the original shadchan who suggested it is not entitled to any shadchanus. The problem arises when there is a great delay in response, break of time in between the suggestion and the agreement to the shidduch, or where they did not outright reject the offer or were busy dating. After what time frame would it be considered a non “pursued” shidduch which only the second one is entitled to the shadchanus? R’ Aryeh Morgenstein Shlit”a posits that the Hilochos Shadchnus are binding unless there is agreement to the contrary. We provide the following guidelines which are in the grey areas of Halacha, and your use of the service hinges upon your agreement to these terms. If you do not agree, please notify us and your information will be deleted from the system. 1. Throwing out various names even to both sides does not entitle the shadchan to any part of shadchanus. In order to be a matchil who is entitled to 1/3, both sides have to accept a shidduch suggestion. If a shidduch is suggested to one side and you take this information to contact the other side – whether by you or your parents or other agents – and this concludes in an engagement, then you owe the full shadchanus to the shadchan that made the suggestion. It is your prerogative to keep the shadchan involved until the end. If you do not want the involvement of the shadchan and the shidduch is concluded without the shadchan’s involvement throughout, the shadchan is entitled to the full fee. 2. There is no marking off turf by bombarding individuals with suggestions, but it should be one suggestion at a time. Only after they say no, should the shadchan suggest another one. 3. Being that the minhag is that people have one week to check references or it is assumed they are not interested, and they are free to accept other offers. To actualize the minhag, but to avoid a situation where after one week another shadchan offers the same shidduch, the first shadchan should be contacted within a one month period of offering a shidduch, if it was neither accepted nor denied. After the one month period another shadchan is free to make that same shidduch. Any conflicts should be relayed to Yismach. 4. Offering a shidduch to someone who is dating, is undoubtedly considered rejected by them. Any shadchan offering a shidduch when they become available would be considered the sole matchil. We have inserted features in Yismach so that people can mark if they are available or not. We strongly encourage people to use this feature. 5. It is expected that the shadchan will not just make offers, but will first get to know you by either personal meetings or phone interviews, and stay involved until the engagement. The shadchanus is earned by being the matchil (1/3), mekarev the daos, and the gomer. To reiterate, if you do not want the involvement of the shadchan and the shidduch is concluded without the shadchan’s involvement throughout, the shadchan is entitled to the full fee. What is the Usual and Customary Fee? What is the Usual and Customary Fee? The market rate varies from country to country. In Israel the customary rate is $1,000 from each side, for first time marriages and in other countries it may be $2,000 from each side or more. The customary rate for second marriages is $2,000 from each side and may be more in certain circumstances. You are obligated to pay the customary fee and include the proper amount on your profile. You may offer a greater shadchanus fee on your profile. (mis)use of pictures: The picture you put up on the site is for the shadchan to get a sense of you so if you want to and the other side wants to exchange pictures – the shadchan has to ask you and if you agree you would have to email your picture directly to the shadchan. The information you put on the site is for the shadchanim to get a sense of you. You should put in all critical details. Separately you should prepare a shidduch resume which you upload – which is what the other side gets when a suggestion is made - so write it with this in mind. Respecting confidentiality, shadchanim should not show any pictures unless they have explicit permission. If you want to exchange pictures, then you should email it to the shadchan and suggest that it goes both ways. Of course, shadchanim who are categorically against ever showing or sending pictures, it is their prerogative that even if you give permission, the shadchan will not agree to relay or show pictures. If you upload a shidduch resume, that is what is sent or shown to the prospective match. 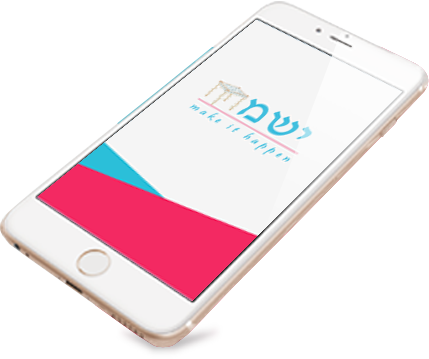 If you do not upload a shidduch resume, then you intend that the text of the profile be sent and the shadchan can download the profile. It is of course your prerogative to include your picture in the shidduch resume and that is what the shadchan would send. What information should a reference and shadchan reveal about those suggested? From this shiur, by R’ Yisrael Gans, Rosh Yeshiva of Kol Torah, outlines the halachos of what a reference and shadchan can say. Confidentiality: Any information you get from a shadchan and certainly pictures is for you alone. Under no circumstance are you to relay a shidduch resume or other personal information to another potential shidduch, another shadchan, dating coach, teacher or Rav. If someone is suggested to you and you think that you know someone who is matim, relay that information to the shadchan who sent you the suggestion. If someone is making calls for you to check references, then you send them only the telephone numbers. Opinions, advice, statements, offers, or other information or content made available through the site are those of their respective authors, and should not necessarily be relied upon. Such authors are solely responsible for such content. Apart from the customary Shadchan fee in the event of a successful match, which you pay to the shadchan at your engagement, to cover the Yismach operating cost, you agree to pay a nominal onetime $54 or 200 shekel registration fee. Any other service provided on the site, including name compatability testing and fixed or monthly davening require separate fees as per the site. Yismach owns and retains all proprietary rights in the Website. The Website contains the copyrighted material, trademarks, and other proprietary information of Yismach and its licensors. Those rights include, but are not limited to, database rights, copyright, design rights, registered or unregistered, patents, trademarks, whether registered or unregistered and other similar rights, wherever existing in the world, together with the right to apply for protection of the same. Except for that information which is in the public domain or for which you have been given written permission, you may not copy, modify, publish, transmit, distribute, perform, display, or sell any such proprietary information. You and Yismach agree that any disputes or claims arising out of or related to this Agreement, any service provided, or the Website may only be resolved through a proceeding in a recognized Bet Din in Israel. You may not under any circumstances commence or maintain any action against Yismach in any civil court, either in the United States or Israel. You agree that you are giving up the right to go to civil court in connection with any dispute. You agree to defend, indemnify, and hold Yismach, its subsidiaries, affiliates, officers, directors, agents, and employees, harmless from any loss, liability, claim, or demand, costs, including reasonable attorney`s fees, made by any third party due to or arising out of your use of the website or services provided in violation of this Agreement or arising from a breach of this Agreement or any violation of any copyright, trademark, trade secret or other intellectual property or other rights of any third party. Yismach will not disseminate your private information without your prior consent. When you register, you agree and consent to receive email messages from us. These emails may be limited to transactional or relationship communications relating to the services, or may be emails containing changes to the site, services, procedures or fee arrangements. This Agreement will remain in full force and effect while you are registered to use the site. Yismach reserves the right to terminate your registration for any reason effective upon sending notice to you at the email address or regular address you provide in your registration. We also reserve the right to remove your information from our services and any other records at any time at our sole discretion. Even after this Agreement is terminated, certain provisions of this Agreement may remain in effect. You may terminate your membership by removing your profile, at any time, for any reason, with or without explanation, effective upon sending written or email notice to Yismach. This Agreement contains the entire agreement between you and Yismach regarding the use of the Website and/or the Service. If any provision of this Agreement is held invalid, the remainder of this Agreement shall continue in full force and effect. The section titles in this Agreement are for convenience only and have no legal or contractual effect. This Agreement is subject to change by Yismach at any time. The revised terms will be effective upon posting on the website and your use of the services after such posting will constitute acceptance by you of the revised Agreement. YOU AGREE TO THESE BINDING TERMS AND CONDITIONS. This Agreement was last revised on December 3, 2016. "You, Your, Yourself" means the matchmakers or shadchanim. Rav Walkin, shlita, affectionately known as Ha’Masgiach, (the mashgiach of Ateres Yisroel) explained that the single most important thing in shidduchim is “dignity” – protecting the dignity of those in shidduchim and the segula for shidduchim is “secrecy”. It was with this in mind that Yismach set up this system that protects the client’s dignity by compiling information which is accessible only by the established, recognized, trusted, professional shadchanim. It is expected that the shadchanim using this service will be trustworthy and protect the confidentiality of the client. As a user of the site, you agree that your account is for your personal use only. You may not authorize others to use your account, and you may not assign or otherwise transfer your account to any other person or entity. You are responsible for maintaining the confidentiality of the username and password that you designate during the registration process, and you are fully responsible for all activities that occur under your username and password. Yismach is not responsible and will not be liable for any loss or damage arising from your failure to comply with this provision. What information should a reference and shadchan reveal about those suggested? From this shiur, by R’ Yisrael Gans, Rosh Yeshiva of Kol Torah, outlines the halachos of what a reference and shadchan can say. While registered individuals are solely responsible for the content that they post on the site and all individuals should verify information on any potential suggestion, as a shadchan you will not provide inaccurate, misleading or false information to Yismach clients. If information provided by Yismach clients becomes inaccurate, misleading or false, you will promptly notify Yismach of such change. Respecting the clients’ confidentiality, shadchanim should not show any pictures unless they have explicit permission. If clients want to exchange pictures, then ask them to email it to you and suggest that it goes both ways. Of course, shadchanim who are categorically against ever showing or sending pictures, it is their prerogative that even if clients give permission, the shadchan will not agree to relay or show pictures. If clients upload a shidduch resume, that is what is sent or shown to the prospective match. By no means is it acceptable to show the client’s profile which is meant for the shadchan’s eyes only. If they do not upload a shidduch resume, then they intend that the text of the profile be sent and the shadchan can download the profile by clicking on the “download profile pdf” button under their picture. It is of course the client’s prerogative to include their picture in the shidduch resume and that is what the shadchan would send. Under no circumstances can a shadchan provide email addresses or phone numbers of clients to other clients without their express permission. Under no circumstances can a shadchan show clients the profiles and pictures of other clients without their express permission. Any shadchan that violates these terms and conditions will automatically be suspended from Yismach. Each shadchan will individually be responsible for any damages that may have accrued from their misuse of the site. Yismach does not assume any liability for the release of personal information by other parties including other registered individuals or Shadchanim. IN NO EVENT SHALL YISMACH BE LIABLE FOR ANY DAMAGES WHATSOEVER, WHETHER DIRECT, INDIRECT, GENERAL, SPECIAL, COMPENSATORY, CONSEQUENTIAL, AND/OR INCIDENTAL, ARISING OUT OF OR RELATING TO THE CONDUCT OF ANYONE IN CONNECTION WITH THE USE OF THE SITE AND SERVICES OFFERED. Each shachan agrees to indemnify and hold Yismach harmless for any damages, loss, liability, claim, or demand, costs, including reasonable attorney`s fees, due to or arising out of the use of the website or services provided in violation of this Agreement or arising from a breach of this Agreement. Yismach reserves the right to refuse service to anyone, at their sole discretion. Suggesting a name without details: If one suggested a name to only one side, and another Shadchan was involved to complete the Shidduch, the first shadchan did not contribute to the shidduch and is therefore not entitled to payment. However, if someone suggested the name of someone who the other Shadchanim could not possibly think of (such as a person from outside the country), there is a macklokes if the person is entitled to a fee as an initiator. If one suggested a name to both sides, then it is considered that he is Mekarev Hadeyos and is entitled to payment as a matchil (initiator). See Poel Emet ; Leket Shalot Hamitiot chelek 2. As the scenarios vary greatly, and the halachos of matchil are based upon takanas and minhag hamakom one should consult a dayan for a psak for each case. Same suggestion from two Shadchanim: If a shadchan suggested someone, and the person did not accept or reject the offer, or the person accepted the offer but it was not pursued, or even was pursued and it did not work out, and another shadchan came after with the same suggestion without knowing of the first Shadchan’s suggestion and without benefitting from the first Shadchan’s work, the second Shadchan is entitled to the full fee. However, if the second Shadchan did benefit from the first Shadchan’s work, the first Shadchan is entitled to a Shadchan fee as a matchil. See Shut Halichos Yisrael 23; Poel Emet; Leket Shalot Hamitiot chelek 2. It is clear that if a shadchan suggested a shidduch, and the offer was rejected, and another shadchan later offered the same shidduch, and they agreed to the shidduch, then the original shadchan who suggested it is not entitled to any shadchanus. The problem arises when there is a great delay in response, break of time in between the suggestion and the agreement to the shidduch, or where they did not outright reject the offer or were busy dating. After what timeframe would it be considered a non “pursued” shidduch which only the second one is entitled to the shadchanus? What is the Usual and Customary Fee? : The market rate varies from country to country. In Israel the customary rate is $1,000 from each side, in other countries it may be $2,000 from each side or more. A person is obligated to pay the customary fee. The usual and customary fee is higher in “non-regular” shidduchim. According to Rav Tsvi Spitz, in cases of medical issues, second marriages with children, or difficult situations the customary fee is 50% more than the market rate. Anything more than twice the customary fee is considered exorbitant and one is not obligated to pay anything above this fee, unless a kinyan to pay a higher fee was made between the shadcan and client. Special cases which require expertise or special connections to make the shidduch may require additional fees above double. Before making suggestions, it is advisable to advise the client how much shadchaus is and that it is due and payable at the engagement. Promising to pay above the Usual and Customary Fee: Rav Tsvi Spitz recorded seven shiurim detailing shadchanus halochos in various scenarios. For example, even if a person promises to pay more than the customary fee he is not obligated to pay more if there is no kinyan or handshake on the price. If he made a kinyan or handshake to pay more, then the person must pay the promised fee. If the Shadchan worked more than the accustomed amount of work, then even without a Kinyan, the person has to pay the agreed-upon price. If the shadchan was poor, then according to the Kitotz Hachosen, one must pay the Shadchan the full amount as it is considered a neder. The Netivos, however, argues that this is not considered an actual neder. According to Rav Tsvi Spitz if he promised without making a kinyan or handshake to pay more to a shadchan who is a poor person (widow, widower or one in dire financial situation) then it is considered a neder and the person must pay the promised fee in accordance to the view of the Kitzos Hachoshen. If there is no customary fee for the place, then he is obligated to pay what he promised. Where a Shadchan asks for more than the market value: Similarly, if a shadchan asks for a fee which is 1/6 above the customary market rate, the person only has to pay the market value, unless a Kinyan was made, or even a handshake on the price which binds them to that agreement. If they paid already, then even without a Kinyan or handshake on the price, the shadchan does not return the money. In a case where one side didn’t pay the Shadchan for whatever reason, the Shadchan cannot demand that the second side pay the obligation of the first. R’ Aryeh Morgenstein Shlit”a told us, that the Hilochos Shadchnus are binding unless there is agreement to the contrary. We provide the following guidelines which are in the grey areas of Halacha, and your use of Yismach hinges upon your agreement to these terms. If you do not agree, please let us know and you will be deleted from the system. 1. Throwing out various names even to both sides does not entitle the shadchan to any part of shadchanus. In order to be a matchil who is entitled to 1/3, both sides have to accept a shidduch suggestion. 2. There is no marking off turf by bombarding individuals with suggestions, but it should be one suggestion at a time. Only after they say no, should the shadchan suggest another one. 3. Being that the minhag is that people have one week to check references or it is assumed they are not interested, we’d like to actualize this minhag in order to expedite shidduchim. If no response is received from the other side, an individual is free to accept other offers. However the suggestion should still remain open with the first shadchan for one month until the shadchan receives a definitive no from the other side. If another shadchan makes the same suggestion the client is still obligated to go back to the first shadchan during the one month period. If a shadchan makes an offer and it is not accepted within a month, another shadchan is free to make that same shidduch. Any potential conflicts should be reported to Yismach. 4. Offering a shidduch to someone who is dating, is undoubtedly considered rejected by them. Any shadchan offering a shidduch when they become available would be considered the sole matchil. We have inserted features in Yismach so that people can mark if they are available or not. 5. It is forbidden to contact a client to convince the individual to switch shadchanim, even if the shadchan is a close personal friend of the client, or family or even a relative of the client. 6. It is expected that the shadchan will not just make offers, but will first get to know the client by either personal meetings or phone interviews, and stay involved until the engagement. The shadchanus is earned by being the matchil (1/3), mekarev the daos, and the gomer. If the client does not want the involvement of the shadchan and the shidduch is concluded without the shadchan’s involvement throughout, the shadchan is entitled to the full fee. 7. Shadchanim will not sign up clients without their express permission and knowledge. Even with their permission, Shadchanim will not sign up clients using the shadchan’s email or phone number. These Terms apply to the entire content of the website at https://www.yismach.com/ (the “Website”), the use by you of Yismach services provided through the Website (the “Service”) and any correspondence between us. By using the Website you agree to accept these Terms and Conditions and you agree to these binding Terms and conditions. If you do not agree to these Terms and Conditions, your access to the Website and/or the Service will be discontinued. Please do not access and/or use our Website and/or Service if you do not accept the terms and conditions. As a user of the site, you agree that your account is for your personal use only. You may not authorize others to use your account, and you may not assign or otherwise transfer your account to any other person or entity. You are responsible for maintaining the confidentiality of the username and password that you designate during the registration process, and you are fully responsible for all activities that occur under your username and password. Yismach is not responsible and will not be liable for any loss or damage arising from your failure to comply with this provision.